The rumors about laptops sporting a Snapdragon 835 have been spread in the net starting mid-2017. Earlier this year, we saw a couple of ACPC packed with this chip. What’s interesting, Qualcomm has been making SoCs for mobile products only. And with this move, it starts a struggle against Intel and other top chip makers. So when the Lenovo MIIX 630 was launched at $899.99, not many customers to switch to this platform. The price is not too low, and it still provides a performance identical to the Intel’s ultra-low voltage mobile processor. Obviously, there is no serious reason to choose it. 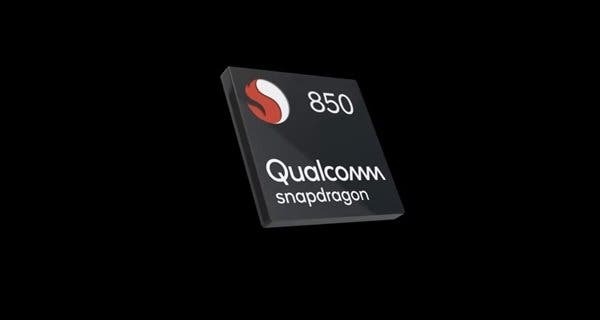 Everything should change with the release of the Snapdragon 850. At this year’s Taipei Computer Show, Qualcomm released the Snapdragon 850 processor. Actually, it has not changed much compared to the Snapdragon 845. The company only increased the core frequency from 2.8GHz to 2.96GHz. The American company said it will mainly provide this chip to notebooks. 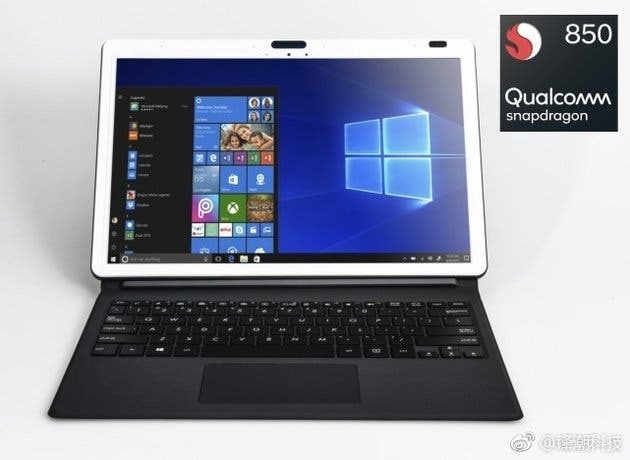 Qualcomm also officially claimed that the Snapdragon 850 performance increased by 30%, the battery life also increased by 20%, and the 4G Internet speed increased by 20%, compared to the Snapdragon 835 notebook products. 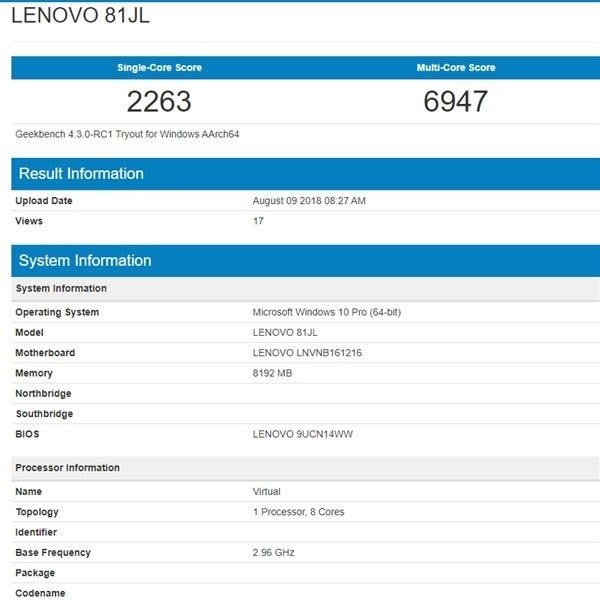 Recently, according to the Winfuture report, a Lenovo notebook with a new processor appeared in GeekBench 4’s database. There is every reason to think the laptop is packed with a Snapdragon 850, as the chip has an octa-core design and a 2.96GHz clock speed. As for the running points, the Lenovo laptop scores 6947 points and 2263 points in the multi-core and single-core tests, respectively. Compared with the ASUS first-generation ACPC dubbed as the Nova Go and equipped with the Snapdragon 835, the multi-core upgrade is only 7%, and the single-core upgrade is 25%. These scores also outrun the previous leaks.